Why do we at Gender Dreaming call swaying techniques “tactics” instead of “factors”? The word “factor” implies something that is a necessary part of a whole. Mathematically, when we factor something, we are reducing it to its smallest indivisible part. The parts HAVE to be there – if you leave out one factor it changes everything. A factor is an essential, integral part of something. To use the word “factor” when talking about swaying implies that there are X number of things that you HAVE to include in a sway, things that affect gender equally, things that can make or break a sway if they are not included. pH, ions, minerals, hormones, supplements, timing and diet are the oft-touted IG sway factors and if you leave any of them out, according to them, it means you will have less of a sway. Just like trying to get to 36 without using the number 2 – it’s not possible. You need the factor 2 to get to 36 and according to IG you need timing to get to a baby of a particular gender. On the other hand, a tactic is a strategy to accomplish a goal (or a part of an overall strategy), a means to an end, not an essential part of something. You can have one tactic/strategy for accomplishing a goal or many strategies. If you use one tactic, you can use others if you’d like, but you don’t have to. One tactic very well may be good enough. You can try a tactic on for size and decide it doesn’t work for you, drop it or switch to a different tactic. You can eliminate tactics that are disruptive to your life and focus on tactics that are a better fit. If you have to get to work, there are various tactics one might use to get there – you can walk, bike, drive, take the bus, call a coworker for a ride, hitchhike, even work from home instead. Your getting to work is not diminished by whether you walk or ride the bus – it might take you a little longer but then again you’re spared the stress of driving! All you have to do is get to work – it doesn’t matter HOW you get there, how long it takes, or whether you enjoyed the ride or not. With swaying, it works the same way. 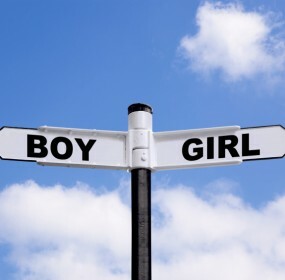 The goal is getting a baby of a particular gender and how you get there can vary dramatically (as we all know by looking around at the rest of the world most of whom have both boys and girls without any thought or effort whatsoever). I personally believe there are many ways to sway, but they are NOT “factors”. They are TACTICS. Meaning, you don’t have to do all of them. You don’t even need to do ANY of them (doing nothing and just TTC, IS a tactic and may be effective for some people who find the idea of swaying to be highly stressful). Each tactic is not adding 3% of a sway or whatever they used to claim on IG and only if you do them all will it add up to a good sway. Some tactics are supereffective and others probably don’t get ya a whole lot or anything at all really. If you’ve already done what you can do, swayed the amount it is possible for any of us TO sway (because remember, swaying can never be 100% or even close or the whole human race would have died out a long time ago) with an effective tactic, then trying to include an ineffective tactic is at best silly and at worst can ruin a sway by either undoing some of the good you did with your effective tactic or else by taking your energy and attention away from doing effective tactics, well, effectively. As an example, IF diet really can be 80% effective (which some of the French Gender Diet data indicates) and 80% is about as good a sway as you can get, then why would you waste time and energy doing timing just in case?? Timing is hugely disruptive, time consuming, reduces odds of conception, and may even sway in the opposite direction by making pink swayers get obsessed and detail-oriented and blue swayers feel overwhelmed and reducing sperm numbers for them. If you already GOT the 80% from diet, even if timing can possibly sway by (let’s be generous here) 25% (it doesn’t) you are NOT adding anything whatsoever to your sway. The diet tactic already did the heavy lifting…all timing can do is add stress that may even undo some of the good the diet tactic did, by screwing up your testosterone levels and making it super hard to get pg, which over time leads to people cheating on diet and dropping tactics that are way way way more effective than timing. If these “factors” were really factors, then by all rights InGender should be getting better than 80%. They’re doing a strict French-style diet plus hormones, ions, timing, pH, etc etc etc…if all these things really add to the sway, should they not be doing BETTER than the stats on diet alone? Like, WAY better? But they’re not. I don’t mean to say these things don’t sway (some do, some don’t) but they can’t be swaying more than it is possible to sway, if you get my drift. These things CANNOT be “factors”, they’re TACTICS. Basically, what I’m trying to say is, there’s only a certain amount of ground we can cover with swaying. We can only sway so much, swaying will never be 100% or anywhere close, and so given that reality, instead of including “factors” that are allegedly prerequisites for success, you should pick tactics that accomplish your overall goal of getting a baby of your desired gender – and focus on the ones that work for YOU and your husband. You don’t NEED to do them all, if you’ve already got the ground covered one way you’re not going to cover it any better by doing more than needs to be done. 80% is 80% regardless of how you got there. In other words, you can only get to work one way – it’s ludicrous to say, well, I’m going to walk to work today but I’m also going to call a cab and have it follow me along just in case my legs suddenly give out on me. It’s a waste of your money and effort, and I suspect it would even make you more likely to give up on the walking if it was a little chilly or your feet got tired. The cab may even get in your way if you needed to cross the street. You don’t need BOTH the walking and the cab strategy. You have to pick the tactic that will get you where you need to go while meeting your personal needs the best. Putting a little dress or a football under the bed, no worries. That’s no effort at all and there are no downsides to it. But including timing, ions, biorhythms, astrology, Chinese Gender Predictor, and even some of the stuff that may even have a grain of truth like pH, is this huge expense in time and effort, they keep people from TTC in months they need to be TTC and can prevent pregnancy, they keep swaying always first and foremost in your mind which can affect T levels and mess with your mind to such an extent that people without strong gender preferences end up getting GD! I personally have witnessed m any people who did not do diet or gave up on it when things got tough in order to rely more on timing or ions to carry the day. And women who were in their late 30’s and limiting themselves to trying in !!!! 2 !!!! months out of an entire year because of astrology. That’s kinda like deciding walking to work is too hard and taking a month off to construct an imaginary teleporter out of a cardboard box to get you there. Even things that probably do sway a bit like frequency can be super disruptive, feed swaycession, and create a big sticking point between husband and wife (not to mention reduce odds of conception). If you’re already doing diet and taking supps, PLEASE don’t get so hung up on frequency that you are consumed by it. In the big picture of an overall good sway, frequency is probably not getting you anything that isn’t already covered. Maybe if a person was doing nothing else to sway, frequency may sway a little bit. But 80% is 80%. Adding frequency to an otherwise good sway is like calling the cab to follow you while you walk – you were gonna get to work anyway and all you have added is a distraction – one that may piss your husband off so bad that he pulls the plug on the entire babymaking adventure (this HAS happened to people). So when swaying, think TACTICS, not “factors”. If something isn’t working for you in your life, then drop it. Use other tactics to accomplish the same goal. Assuming you TTC every month starting at 18 and ending at 40, that’s only 264 months in which you can even possibly get pregnant – and obviously for most of us it’s a heck of a lot less than that since we may not even have begun TTC till we were older, and lose months due to pregnancy, breastfeeding, our fertility may decline sooner than age 40, and so on. That is SUCH a short time and it goes in the blink of an eye…don’t waste those precious months it on “factors” that don’t even work when you’re already using tactics that do.